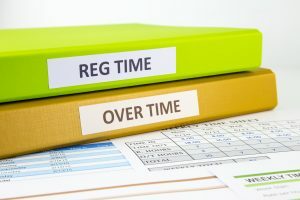 On March 7, 2019 the U.S. Department of Labor (DOL) proposed an increase to the salary threshold for overtime eligibility under the Fair Labor Standards Act (FLSA). Under the proposal the threshold would increase to $35,308 a year or $679 per week from the current $23,600 a year or $455 per week. The announcement by the DOL follows many months of speculation after the failed effort by the Obama administration to set the threshold at $47,476 a few years ago. As many business owners and HR professionals may remember, in 2016 a federal judge blocked the Obama administration’s overtime rule at the last minute after companies across the U.S. adjusted employee pay in order to bring employees over the new threshold. The new proposed threshold, even though significantly lower than the proposed threshold by the Obama administration, would still expand overtime eligibility to more than one million U.S. workers. What should employers do at this point? You may want to dust off your 2016 overtime plans just to be prepared. It’s too early to tell how this will play out. Until the rule goes final, it’s possible the threshold will change again or that the 2016 rule can come back. In the meantime, watch for updates from Axiom HRS and if you need assistance with this issue, contact us at hr@axiomhrs.com.